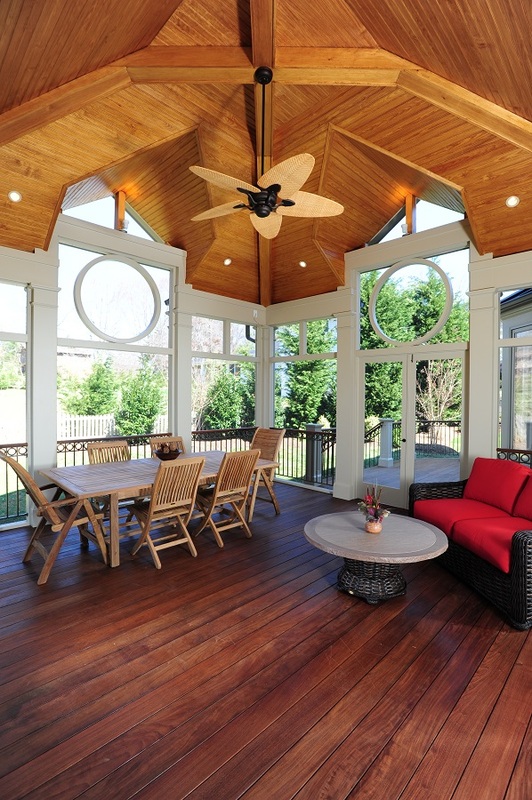 A screened porch in Potomac, Maryland constructed in tandem with a deck. 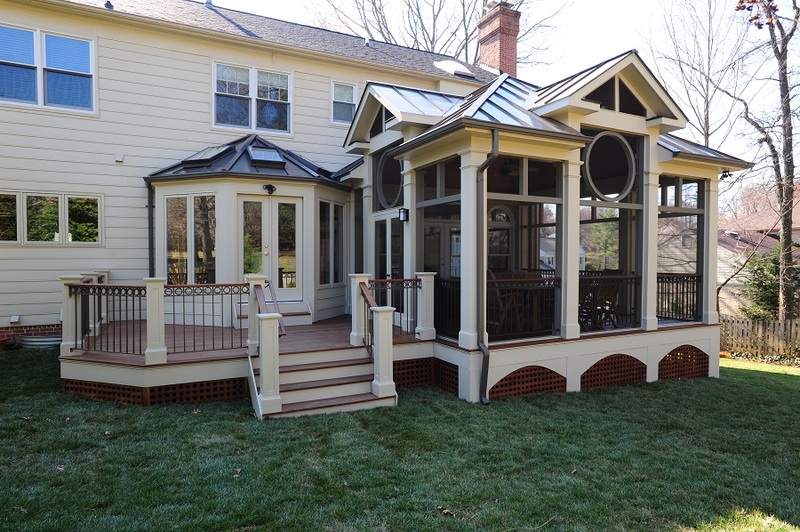 It is outfitted with IPE Brazilian hardwood decking, wrougt iron handrails, recessed lighting, and the patented SCREENEZE screening system. Custom columns attract gazes upwards to a cedar tonge-and-groove ceiling, above which is the stylish dark bronze standing seam roof.